So yesterday was day one if my life style change. I re-read the first chapter of the book to remind myself why I dis not want turkey in my salad, and why I was not going to get Orange Leaf for dessert.. I woke up this morning feeling pretty good? Normal, but not tired. They say that after you start eating clean you feel better overall, but I assume it’s going to take longer than one day. This morning I got up, showered, and took my roommate to Starbucks for her 24th birthday! Breaking News! They have a new cup size? 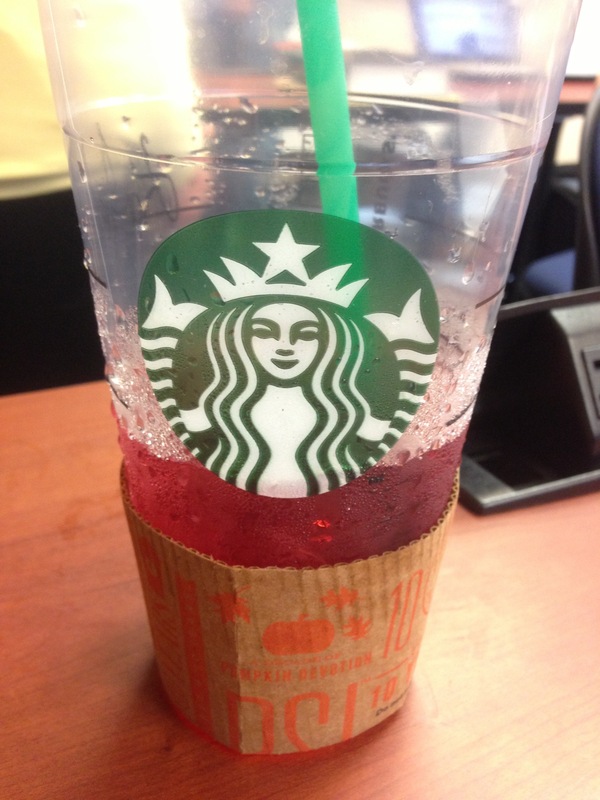 They call it treinta.. They will serve you any zillion calorie frappachino in a treinta sized cup. I ordered unsweetened passion tazo tea in the new size. Very delicious. But I think my body would have a panic attack if I tried to drink the same size java chip frappachino.